The lawsuit, filed on Sept. 21 against CDM Smith—a Boston-based construction and engineering company that specializes in water, environment, transportation, and energy—alleges that the district lost $2.5 million with the construction of a brine pond and must decommission the facility due to the company's flawed reports. 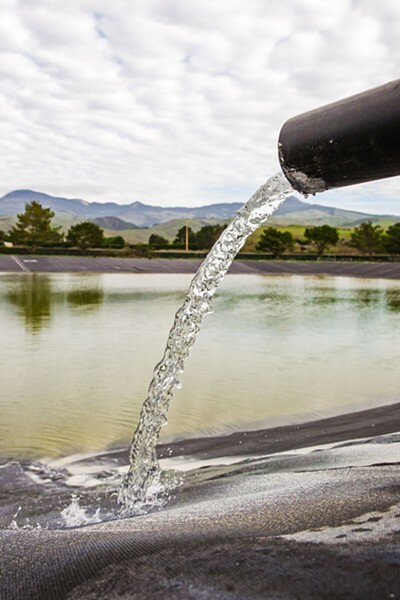 WATER WOES Cambria files a lawsuit against CDM Smith for constructing a faulty brine pond for the Sustainable Water Facility. According to the lawsuit, CDM Smith undertook data-compilation, geo-hydrological and hydraulic analyses that was ultimately used to obtain the necessary permitting for the project. State law and the Regional Water Quality Control Board require both a 5-foot buffer of separation between the bottom of the pond and the highest expected groundwater level and a berm around the pond that's tall enough to prevent water from flooding in or out of it. On Jan. 9, 2017, heavy rain caused water to flood over San Simeon Road and onto the district's property. District staff found that the pond had risen by 2 feet between Jan. 8 and 9, indicating that surface water had flooded the pond. In July 2017, the regional board issued a cease and desist order against operating the brine pond and reported numerous design flaws.